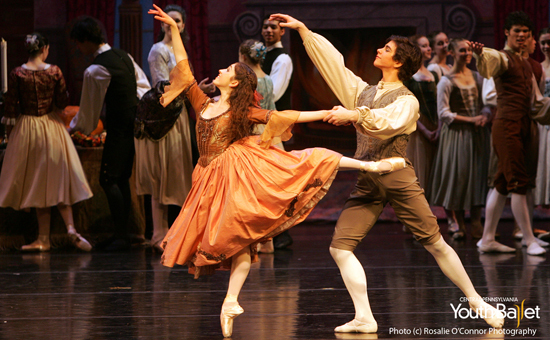 CPYB alumni Leta Biasucci, Pacific Northwest Ballet, and Jeremy Rucker, San Francisco Ballet, in CPYB’s “The Legend of Sleepy Hollow” (2005). Tapped for leads … four Central Pennsylvania Youth Ballet dancers discovered new strengths in The Legend of Sleepy Hollow. Welcome back, Diane McCormick, our guest blogger. Diane touched base with the Central Pennsylvania Youth Ballet alumni who performed Katrina Van Tassel and Ichabod Crane in the 2002 and 2005 productions of Alan Hineline’s “The Legend of Sleepy Hollow.” Reading her post it became apparent to me that these dancers’ involvement in “The Legend of Sleepy Hollow” mirrors CPYB’s mission to inspire, educate and enrich lives through the training and performing of classical ballet. Enjoy hearing from Marisa Keller Krejcarek, Carli Samuelson, Leta Biasucci, and Owen Thorne as they describe the experiences they had with this wonderfully mysterious, romantic ballet. Marisa Keller Krejcarek was a shy girl pushed beyond her comfort zone. Owen Thorne was, in his words, “immature. A boy.” Carli Samuelson discovered the character behind her precise technique. Leta Biasucci learned to lose herself in performance, leaving behind the hours of practice and letting her artistry emerge. Audiences first encountered the mystery and romance of Alan Hineline’s The Legend of Sleepy Hollow with Central Pennsylvania Youth Ballet’s world premiere in 2002. The ballet, with music by Emmy-winning composer Lanny Meyers, was revived in 2005. After dazzling audiences in productions nationwide, it returns to CPYB in 2014. Tapped for the leads in the early productions of this new ballet, slated to work with the choreographer himself, four Central Pennsylvania Youth Ballet dancers discovered new strengths. All were chosen for their proven capabilities, but at CPYB, they were also driven beyond self-perceived limits. Each emerged with newfound confidence and skills that propelled them to professional careers. 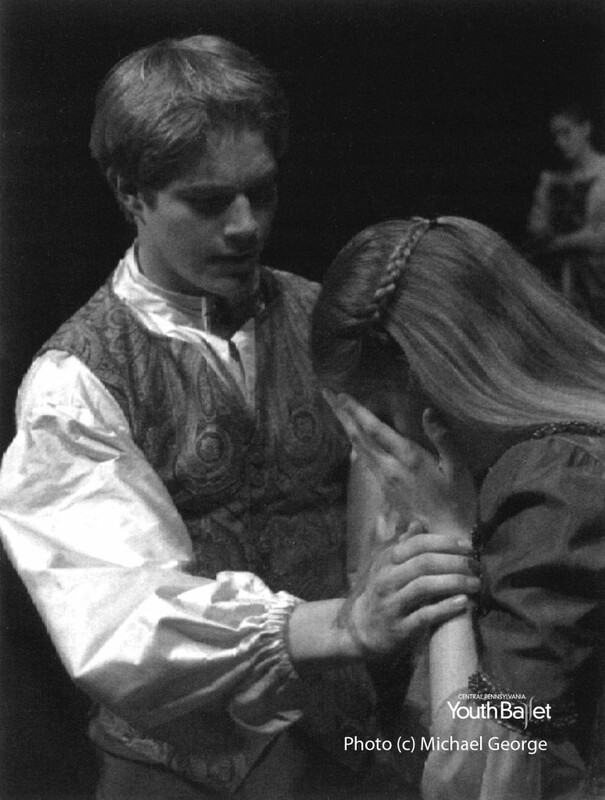 CPYB alumni Grant DeLong, American Ballet Theatre, and Marisa Keller Krejcarek, former Pacific Northwest Ballet and Cincinnati Ballet, in CPYB’s “The Legend of Sleepy Hollow” (2002). Marisa Keller Krejcarek was ‘Sleepy Hollow’s’ first Katrina Van Tassel, the town beauty and the cause of friction between awkward teacher Ichabod Crane and bully Brom Bones. Rehearsing the climactic trio, where Katrina shows her feelings for each suitor, Hineline was “always pushing me for more and more and more,” she says now. CPYB alumni Carli Samuelson, Pacific Northwest Ballet, and Owen Thorne, Scottish Ballet, in CPYB’s “The Legend of Sleepy Hollow” (2005). All agree that CPYB stands alone among dance schools, fostering a professional atmosphere with comparable opportunities, such as the chance to study full-length ballets under the original choreographer and composer. And yet, CPYB was also a place where they could learn by testing their limits. “CPYB was the best place in the world to train,” she says. Writer’s Note: Central Pennsylvania Youth Ballet will present the revival of The Legend of Sleepy Hollow on April 12&13 in Harrisburg, Pa. For more alumni who are currently dancing professionally, visit Alumni in the Field. 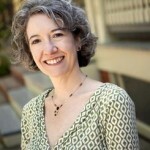 M. Diane McCormick, www.1goodfreelance.com, is a Harrisburg-based writer and lifelong lover of the arts. With a background in theater, she has no dance training but did recently execute some fancy footwork while handling a 10-foot-long python for a Harrisburg Magazine story.